Visualizing English grammar in a clear model, allowing association between individual grammar items. 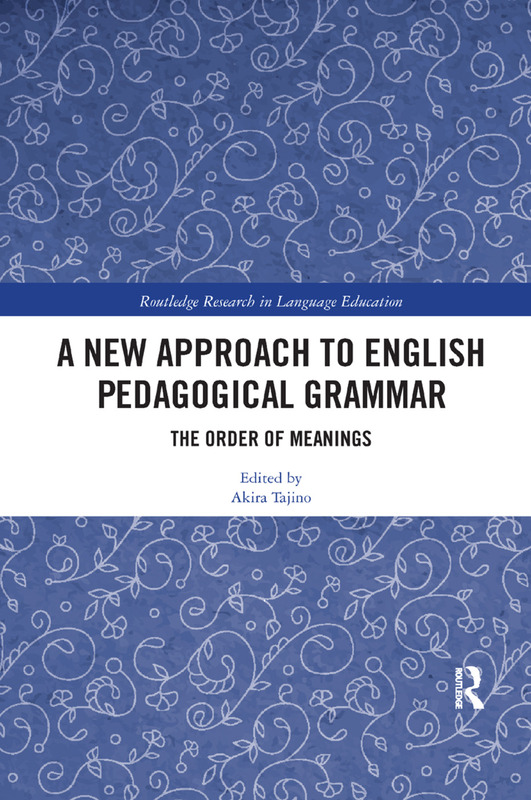 Instruction relies on meaning, not metalanguage, making MAP Grammar easy to grasp. The meaning-based sentence structure allows teachers to address global errors, and learners to produce comprehensible English. Akira Tajino is Professor of Educational Linguistics and Director of the International Academic Research and Resource Center for Language Education (i-ARRC) at Kyoto University, Japan. His research interests include EAP, classroom research, and pedagogical grammar. He is a recipient of the JACET (Japan Association of College English Teachers) Award for excellence in teaching (2011) and the JACET Award for excellence in academic publication (2014). He is the (co) author/editor of more than 20 books, including Researching Language Teaching and Learning: An Integration of Practice and Theory (Peter Lang, 2009) and Team Teaching and Team Learning in the Language Classroom: Collaboration for Innovation in ELT (Routledge, 2016), and has published articles in academic and professional journals. He has served on the editorial panel of several journals, including Oxford’s ELT Journal.